Looking for a way to liven up your breakfast routine? Take some of the best-tasting, nutrient-packed, healthy topper to boost your breakfast into something amazing. 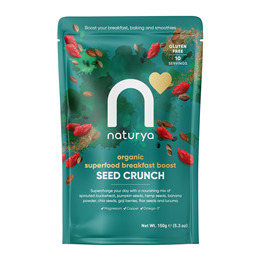 Supercharge your breakfast with just one spoonful of 5 amazing superfoods, chia, hemp, gojis, flax seed and lucuma. You’ll be stocking up on zinc, copper, iron, Omega 3 and phosphorous. Not to mention magnesium, fibre and thiamin. Start your day in an incredible way. 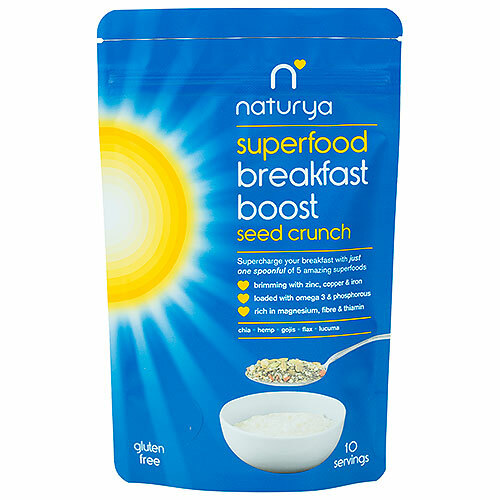 Below are reviews of Naturya Breakfast Boost Superseed Crunch - 150g by bodykind customers. If you have tried this product we'd love to hear what you think so please leave a review.